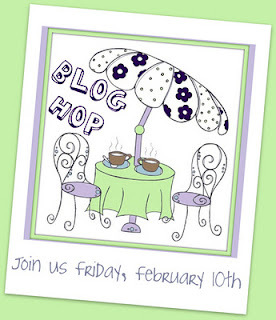 We are having a GIANT Blog Hop to celebrate our new team at The Crafter's Cafe. 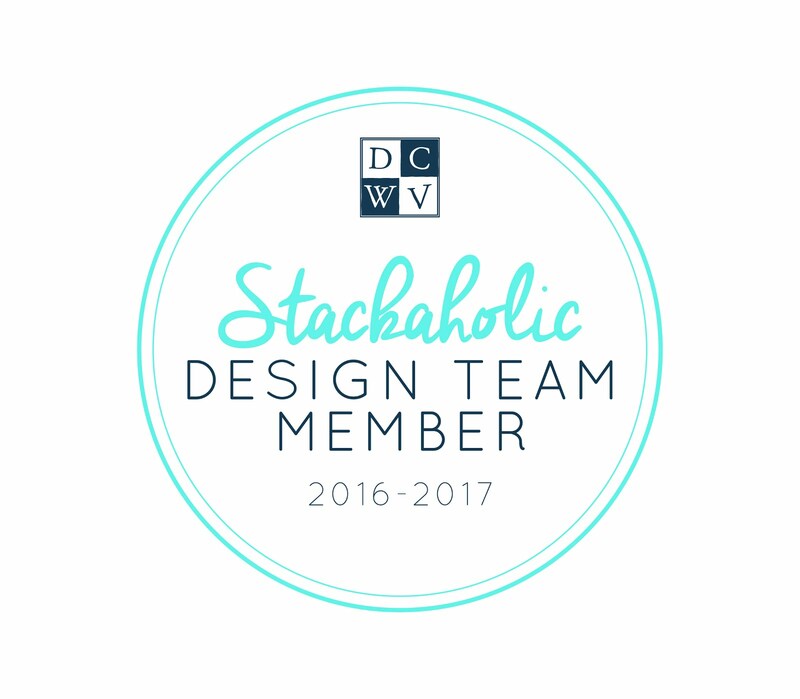 At the end of the Hop, you have a chance to win a prize package from Fresh Brewed Designs. 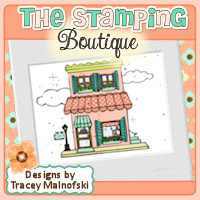 WHICH STARTS HERE (link: http://thestampingboutique.ning.com/forum/topics/scavenger-hunt-blog-hop)! While you're here, you'll need to pick up your "Clue" for a chance to win the FBD prize! They have let me use this image for my project today. Sign made for my daughter's room. Glossy accents here and there. from all of our amazing sponsors... get to know our new team... and check out the new look!! 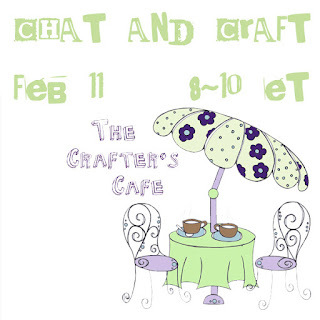 All the games and events will be listed HERE AT THE CRAFTER'S CAFE (link: http://thestampingboutique.ning.com/forum/categories/february-chat-and-craft/listForCategory)! Your next stop in the Hop is Julia Vazquez's blog. Make sure you leave a comment and pick up your clue! Wow, Moinique, two wonderful projects, so beautiful. I just linked properly to yours.I think it will be easier for the hoppers. Awesome job. Love the extra cut out mushrooms. Great projects! I love the mushrooms. Your little painter girl is too cute for words. WOW!! I'm picking up my jaw off the floor! And the little mushrooms: CUTE CUTE CUTE!! I'm SO happy that you are a part of the TCC Family!!! These are both beautiful creations. 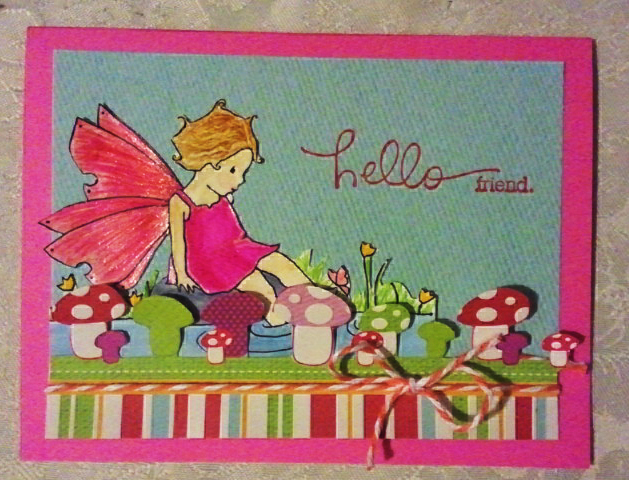 I just love the mushroom border in front of you ADFD image. TFS. both your card and your sign are adorable !!! Lovely cards. I really like the first one. I love the bright pink card bordering it. Great colours and the mushrooms really add to it. 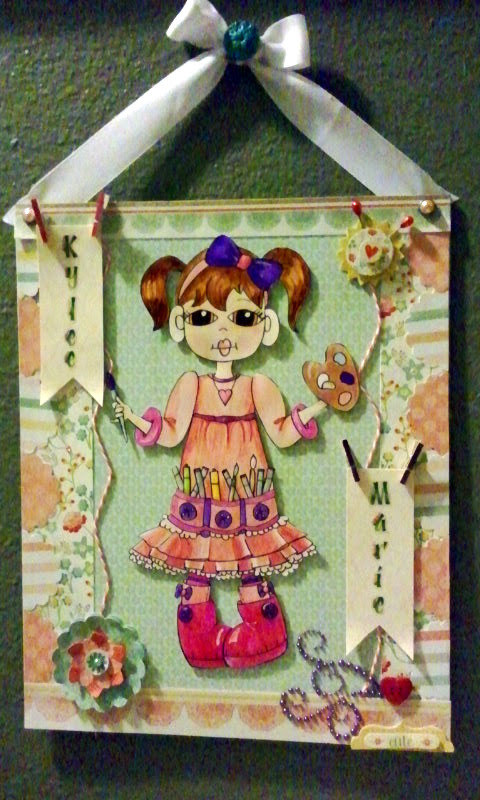 Super job with Smoochie, love this hanger you made.....Great coloring too. 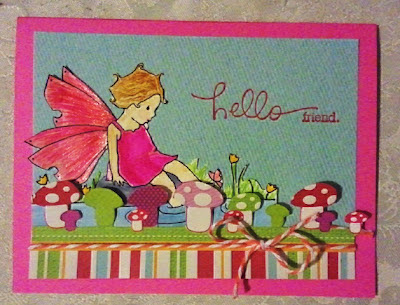 And the fairy is so cute sitting among those mushrooms, great job on both of these cards. thanks for stopping by my blog and leaving me a comment...I do love comments, LOL! I really love both your projects but I must say, "I want that Smoochie the Arist for my studio" LOL! Great job on both! Such cute cards! 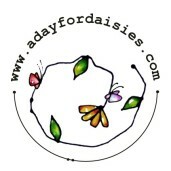 Love the little mushrooms on the ADFD card. Both of your projects are adorable! Love your images and colors! Love both of your projects Monique! That little smoochie is adorable. absolutely fantastic Monique. Full of color and creativity. I love seeing the difference one can do between 2 difference projects!!! Both are gorgeous. LUV Samara - your DT sista. Monique, what a sweet card! Monique, i love both of your creations! the hanger is wonderful, i bet your daughter loves it! I love them both! They are both just fab!